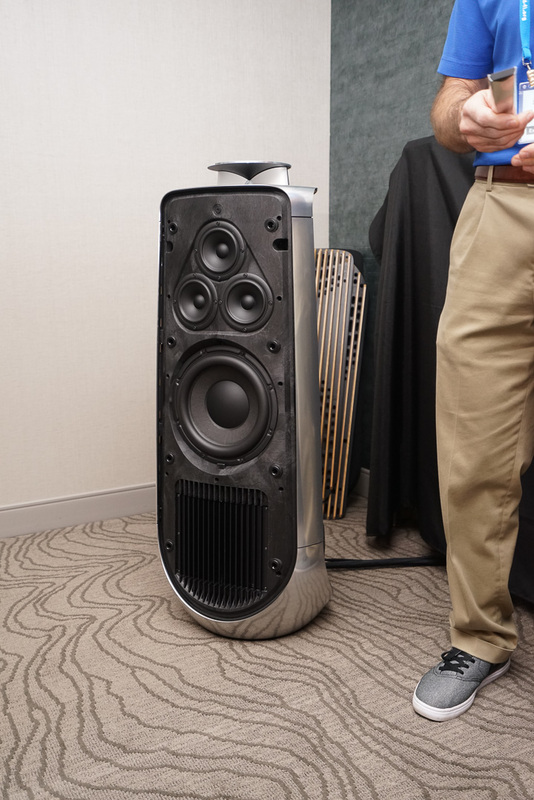 In our final part of our round-up of Rocky Mountain Audio Fest (Editor’s note: delayed on the part of the Editor due to illness of the Editor), Roy Gregory trawls Denver in search of the best loudspeakers and digital devices. He also goes looking for the best of the best. 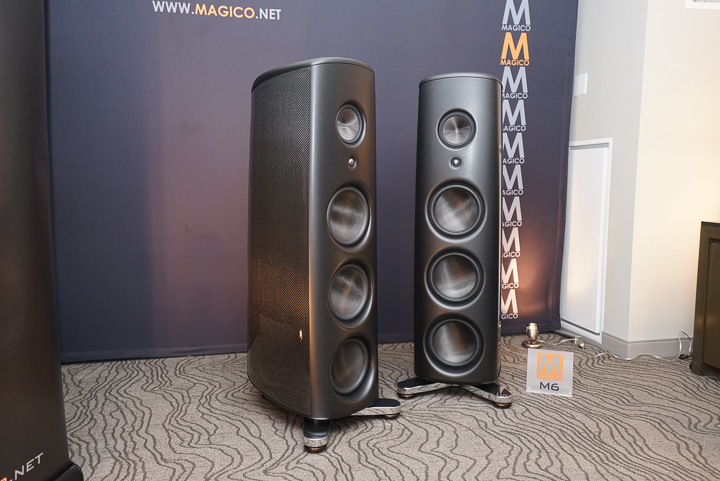 Magico’s new M6 floorstander is both an evolution of and a departure from the company’s existing models. The carbon nano-tech cone material has now extended to the three 10.5” bass units as well as the midrange, but the really big news is the move to a monocoque enclosure constructed from ½” thick carbon composite, including integral bracing and mated to a constrained layer aluminium baffle. If the performance comes close to justifying the claims in the press release, it should be impressive indeed – as it should be at the projected $172K asking price. If the Munich launch of the Beolab 90 speaker system revealed much about B&O’s reading of the audio market, the smaller and more affordable Beolab 50 marks a serious statement of intent. A seven-way interactive, digital ready design, it uses DSP filtering to alter dispersion and balance for sweet-spot or wider audience listening (read audiophile or A/V). The funky motorized tweeter housing (all lift and separate) and smooth lines are unmistakably B&O, while their traditional customer base will find the $40K price tag reassuringly exclusive. 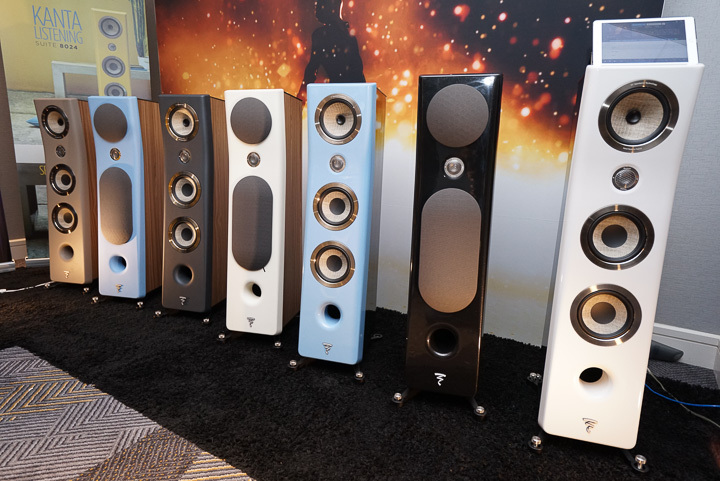 Revel’s latest assault on the almost affordable but genuinely high-end speaker market takes the attractive shape of the new F228 Be three-way floor-stander. It’s svelte lines and flawless finish were as attractive as its musical performance – the latter the result of extensive refinement of the driver motors and a continuing quest for ever-lower system distortion. Price is still to be determined but seems likely to be in the $20K region, with availability early next year. 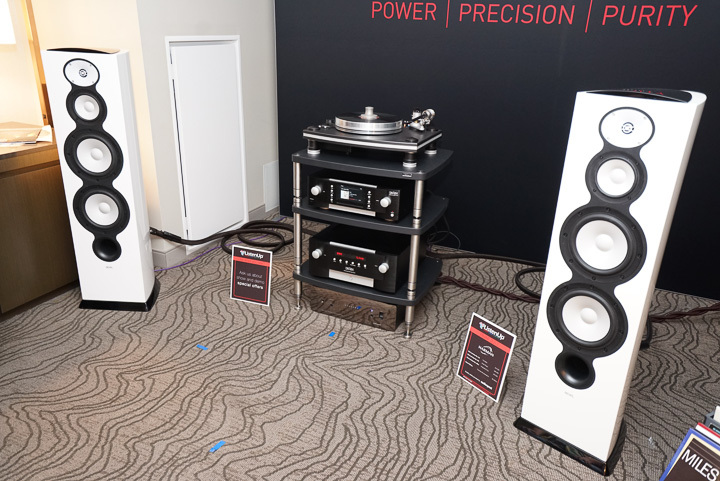 Audio Physic’s diminutive two-way Step has always delivered remarkable soundstaging and transparency – and the latest Step Plus iteration ($2,595) is no different. 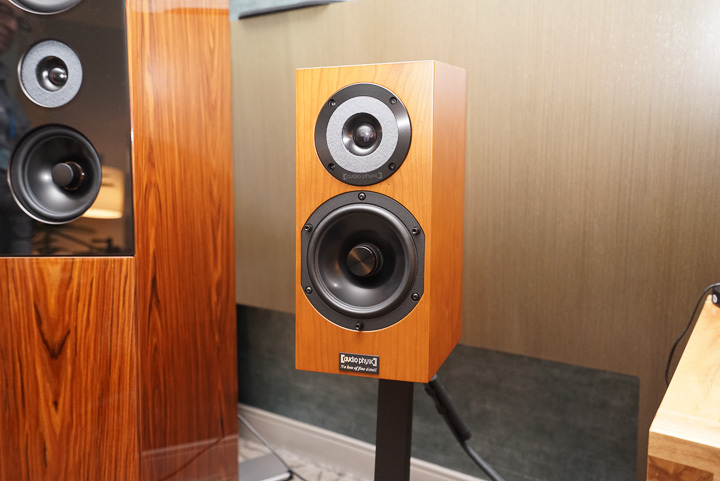 Driven by an entry-level Moon integrated amp, it delivered sound that was both expansive and engaging at a price that was almost as attractive as the music it produced.